Darren Simpson lives in Nottingham with his wife and two mischievous boys. He loves using otherworldly settings and unconventional characters to explore bravery, self-discovery, and the endless quirks that make up our real lives. 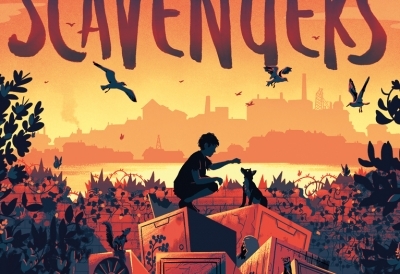 Scavengers, published by Usborne, is Darren’s first novel for younger readers. 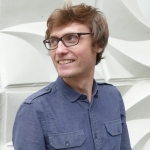 He also provided the story for The Dust on the Moth, a crowdfunded multimedia novel published by Bees Make Honey.